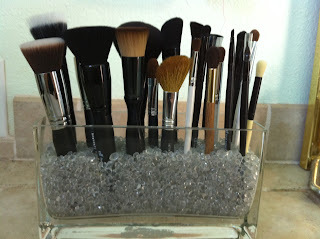 DENISE JOYCE: DIY Wednesday: Make Your Own Brush Holder! DIY Wednesday: Make Your Own Brush Holder! So I'm sure many of you are familiar with makeup brush holders. The photo below is the Sephora inspired one that I currently have. I made it myself using a glass container & crystals I purchased from Michaels a few months ago. 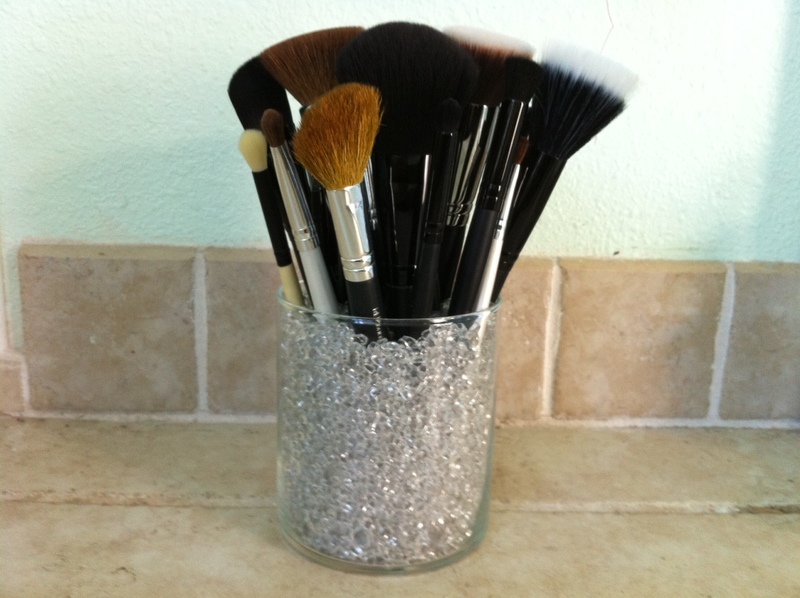 This holder was fairly cheap to make, & it's quite pretty to look at on your vanity. Unfortunately, my brushes were quickly getting overcrowded in such a tiny glass container. So I decided to head back to Michaels in search of another container to make another makeup brush holder. 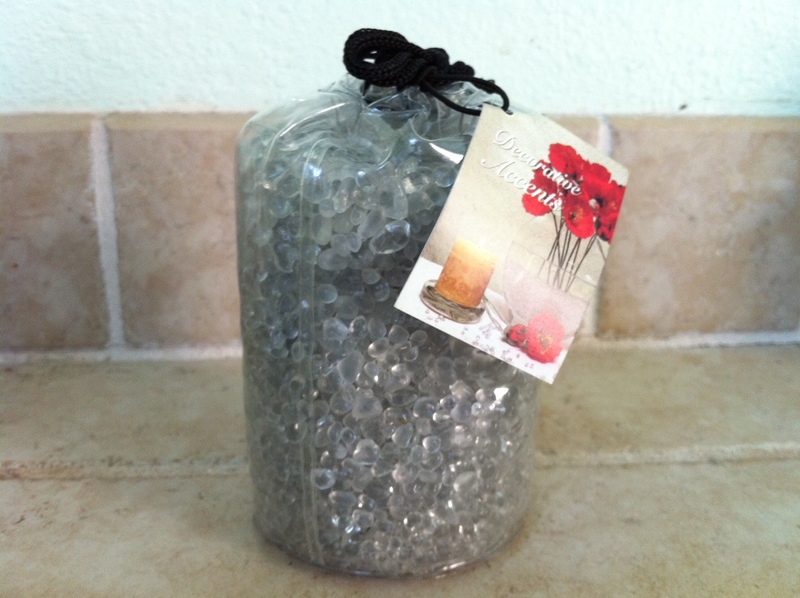 At Michaels, I found glass containers in various sizes. I first considered getting the same container as the one above, but having two identical containers, with one for face brushes & one for eye brushes just didn't appeal to me. 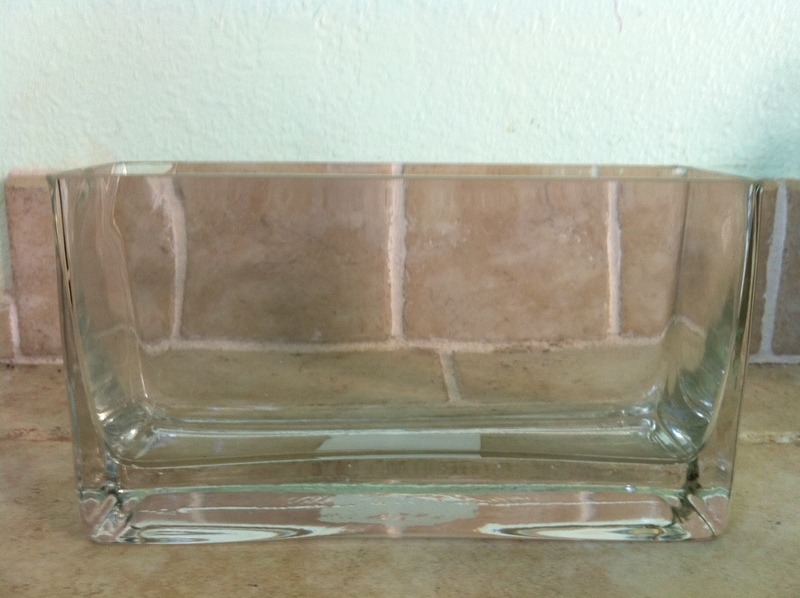 Instead, I decided on this larger rectangular glass container pictured below. I really liked the look of this container, & I figured it would be the perfect size to fit all of my brushes together. It only cost $10.99, which is good compared to some more expensive brush holders you find on the internet. I knew this would be best, & I was eager to put it in my shopping cart. 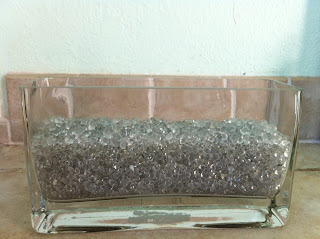 Next, I needed more crystals to fill it with. I found the bag pictured below for only $4.99. So with my container picked out & my crystals, I was ready to checkout. I headed home quickly to put it all together. 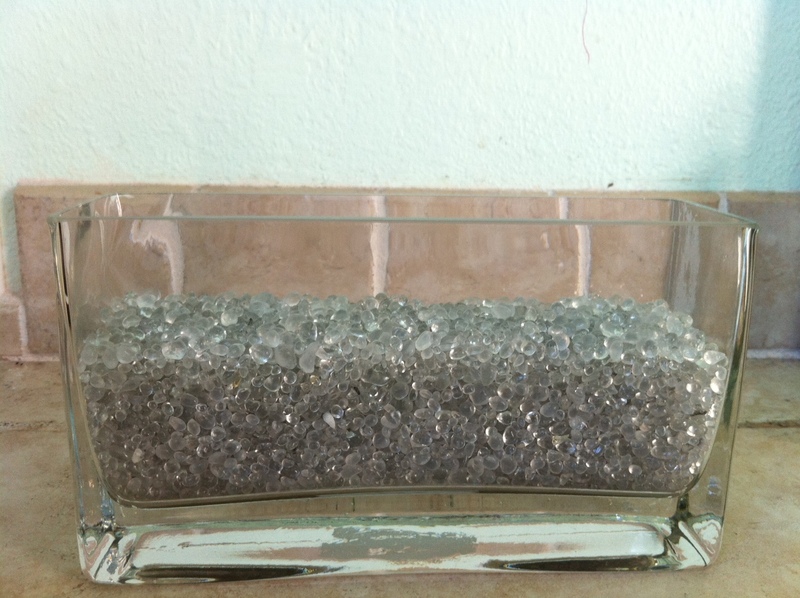 First, simply empty the crystals from the bag into the container. Now with that taken care of, all that's left to do is put your brushes inside. I decided to organize my brushes left to right with my larger face brushes to my small eye brushes. 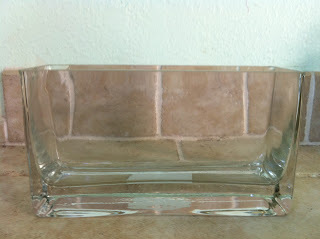 The finished makeup brush holder is pictured below! Now, all my brushes are spaciously organized. I absolutely love how you can see each brush individually. This brush holder looks amazing on my vanity. This makeup brush holder is very inexpensive to make & easy to put together. Wouldn't you want to make one of these for yourself?